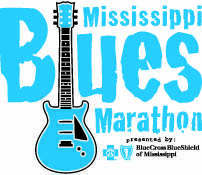 Join us in Jackson, MS for great food, great live music and great Mississippi hospitality at Mississippi Blues Marathon. Cause without the blues thered be no rock n roll..
Ready to race? Register now and enjoy your Mississippi Blues Marathon and Half Marathon!